The 2018 Mercedes-Benz AMG CLS 63 S is a testament to the skill and precision of German engineering and design. 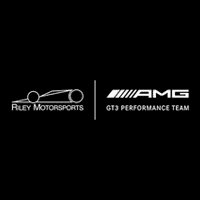 The AMG models are Mercedes-Benz’s lineup of refined vehicles that are created to achieve supreme driving performance. The AMG CLS 63 S is nicely equipped, boasting a handcrafted 5.5L V8 biturbo engine that delivers up to 577 horsepower and 590 lb.-ft. of torque. Power like this truly puts the AMG CLS 63 S in a class of its own. At Mercedes-Benz of College Station, we love helping our customers learn more about these exceptional import vehicles. Let’s review more of the AMG CLS 63 S’ specs. The 2018 AMG CLS 63 S features an exceptional 4-door coupe design that is both muscular and dynamic. The aerodynamically-sculpted front fascia is framed with a signature double crossbar grille and mesh air intakes. Overall, the AMG CLS 63 S has an assertive forward posture with an elegant oblong contour. At the rear of the vehicle, the design is accentuated with a stylish and functional rear spoiler and the sport exhaust system. The available AMG carbon fiber package punctuates the exterior with several lightweight augmented accessories. Stepping aboard the 2018 AMG CLS 63 S, you will be greeted with a host of luxurious and surprising features. The central console runs the length of the cabin, giving each of the four interior seats their own singular accommodation. The seats are hand-upholstered with sumptuous semi-aniline leather for maximum comfort. Additionally, the view from the expansive power tilt/sliding moonroof is sure to catch your passengers’ eye when driving. The handsome IWC Ingenieur analog clock unifies the interior, and reflects the AMG CLS 63 S’ legacy of racing excellence. No expense has been spared in honing the 2018 AMG CLS 63 S’s performance capabilities.The vehicle rides on a set of 19-inch AMG 10 spoke wheels. Behind these rims, you can glimpse the bold red-painted AMG disc brake hardware. On the road, passengers can feel the 4MATIC all-wheel drive, which provides unparalleled responsiveness in concert with the integrated ride control suspension. The unique ECO start/stop drive mode can increase fuel efficiency while idling, and is especially useful for urban driving. The engine remains responsive as soon as you relax the brake. Experience the 2018 AMG CLS 63 S for yourself at Mercedes Benz of College Station. Our full-service dealership is well-equipped to handle your precise needs. We have served patrons from The Woodlands, Huntsville, Brenham, and it would be our pleasure to serve you as well. Mercedes Benz of College Station specializes in the finest new and pre-owned vehicles available. The 2018 AMG CLS 63 S is for sale now at Mercedes Benz of College Station, with an introductory price of $108,900. Schedule an appointment with an associate to test drive the AMG CLS 63 S edition today.